Carrying big loads can be risky especially it contains a lot of small things. 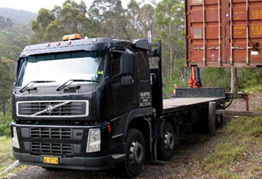 The safest solution is by storing the items in a container and have it carried by a truck. If the loads are not many, then table top truck is the perfect choice. Medium size container will fit the truck well and you can carry your items safely.